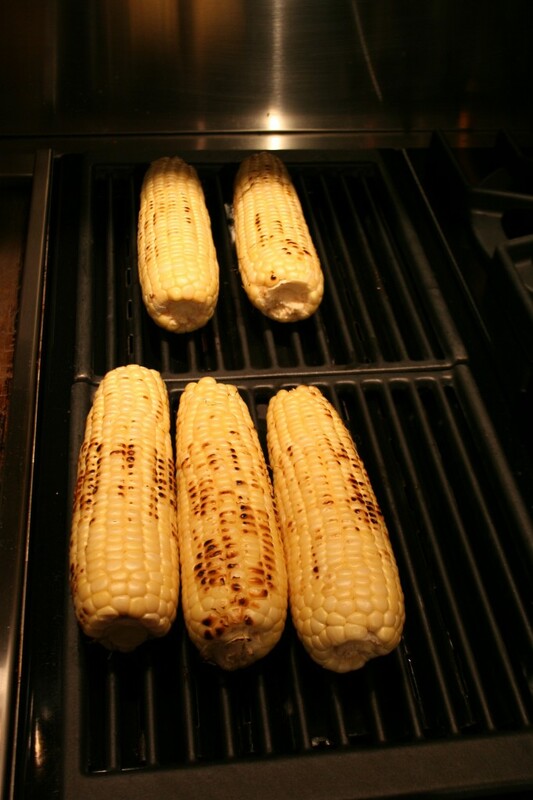 I was able to get some of the seasons last fresh corn…roasted it is so good! We like white corn the best. Get nice fresh corn, clean and roast on the grill. Once corn is nice and charred on all sides, I wrap with foil on leave on the heat about 15 minutes to make sure it is good and done. 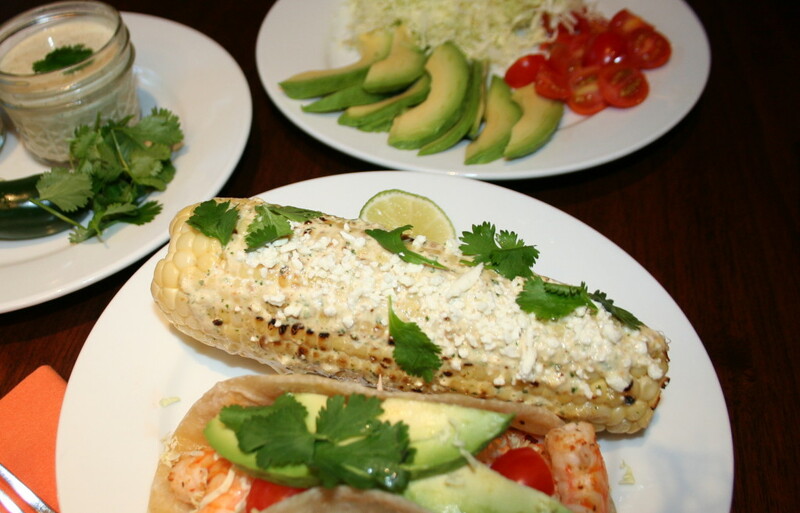 Once it is done we like to spread the sauce all over the corn, sprinkle with cheese, cilantro and a squeeze of fresh lime.